Mechanics. You trust them with your cars. But why? They take your broken auto, and return it as if brand new. But how? 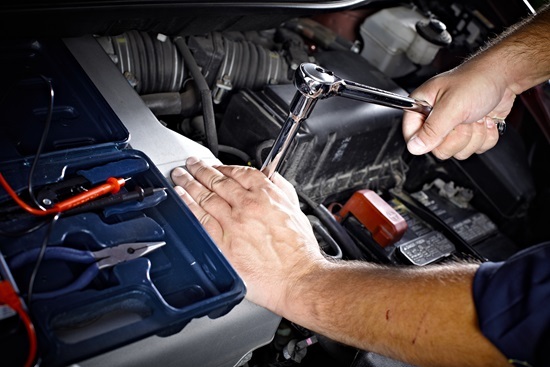 The fact of the matter is, car mechanics have quite a handy range of tools at their disposal. Combine that with a healthy dose of experience and expertise, and you’ve got someone you’ll trust with the vehicle you love. Here’s a quick look at some of those tools. There are some who say the old ways are the best, and in some cases that’s definitely right. Whether it’s screwdrivers, socket wrenches, pliers, micrometers, or gauges, there’s always a place for those ever-reliable staples in a shop. There are two ways to work on the underside of a car: jack it up a little and slide under there, or use a really big, hydraulic lift. Most mechanics opt for the latter. Hydraulics systems are used to slowly and safely raise vehicles so the mechanics can do their jobs under there without the worry of sustaining a serious injury. The most common among this range of tools are air compressors and air guns. Air compressors are the machines which provide the pressurized air for the air guns, and what they do is use highly compressed air to aid in fastening parts to the car. The high power of the guns means mechanics can easily loosen or fasten nuts and bolts on the car. From the moment you buy cars, the wear and tear of the road slowly puts them on the path to falling apart. Grease guns make sure that doesn’t happen. They’re used to inject or spray lubricant onto the various parts of your car. This prevents the grinding and wearing away of those parts, but just the right amount needs to be applied. Not enough and your car will wear itself down, too much and it’ll be uncontrollable. So there you have it, the standard gamut of tools used by your auto mechanic. There’s also welding tools, of course, for metalwork. So why do you trust mechanics? Because they know how to safely and efficiently use a range of tools that would take you quite a while to master, and they’ll bring your baby back home in tip top shape.